something for everyone here. Be it food and beverages, dairy and dairy products, bakery industry, hotels and hospitality, refrigeration, food packaging or anything to do with food industry. It’s an ideal platform to expand, grow and know. GCMMF Ltd on 18th December. The food processing industry is widely recognised as a ‘Sunrise Industry’ in India. It has the potential for uplifting the economy, creation of large scale processed food manufacturing and food chain facilities, resulting in generation of employment and earnings. India is the second largest food producer in the world and with the right approach, it can surely become the world’s number one producer. Today, India is one of the biggest emerging markets. An average Indian spends about 50 % of household income on food items. What’s more, the processed food industry is expected to grow at a very fast rate, rising to $ 70 billion by the year 2005. Dairy Den, the leading supplier and manufacturer of ice cream and fast food equipment over the past three decades, is providing support and concept to many companies and individuals to set up turnkey projects. Apart from selling machines, Dairy Den has also been the forerunner in developing the concept of soft ice creams and artisan scoop ice creams under the brand name ‘CTF-Chills, Thrills & Frills”. The company offers machines for the production of soft ice creams, thick shakes, artisan scoop ice creams, display cabinets, slush and juice dispensers & fast food equipment along with ice cream accessories like hot chocolate ovens, waffle cone making machines, sundae counters, etc. Ms. Aarkay Food Products Ltd, a pioneer company manufacturing Natural Food Colours in India since last 20 years, has introduced a wide range of unique and natural consumer products. These products include instant tomato soup powder, instant bitter gourd (karela) soup powder and milk shake powder. The natural soup powder does not contain added monosodium glutamate, preservatives or citric acid, while the bitter gourd soup powder is being introduced probably for the first time in India and it is very good for diabetics. Tristar Engineering Industries, which was established in the year 1978, is the pioneer in making Insectocutors or Fly Killer and Air Curtain. The company’s products are used for hygienic environment in various places like home, restaurants and hotels, pharmaceutical and cosmetic plant, food and beverages plant, ice cream plant, hospital, bird and cattle shed, shops, etc. The company is located in the industrial area of Ahmedabad and strives to provide high quality price products. The Tristar Insectocutors serve as a non-chemical method to eliminate bothersome flying insects such as flies, moths, mosquitoes and other photosensitive insects effectively, economically and safely. The air curtains help in filtering all the impurities at the doorstep of your house so as to keep the place totally hygienic. Theme Designed by InkHive. 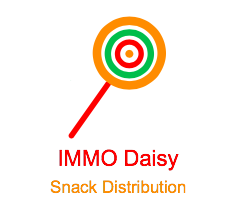 © 2019 Snack Distributors. All Rights Reserved.